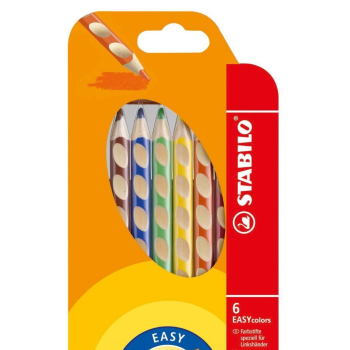 Easy Colours-left handed - The first ergonomic colouring pencil especially for left handers. Triangular ergonomic shape and moulded grip zones will help your children to hold the pencil with the correct grip. Thick lead.